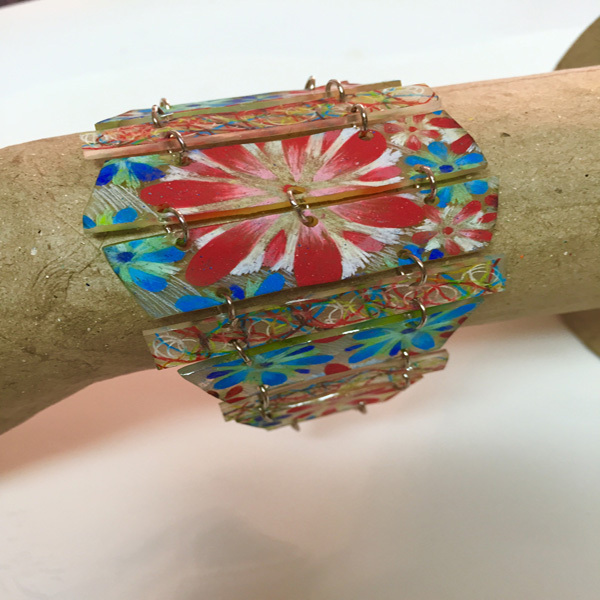 Project Description: Learn how to create customized jewelry with Grafix Shrink Film. Tape template #1 down to work surface. Tape a sheet of Super Sanded Shrink Film down over template. Lightly trace template onto Shrink Film with permanent marker. 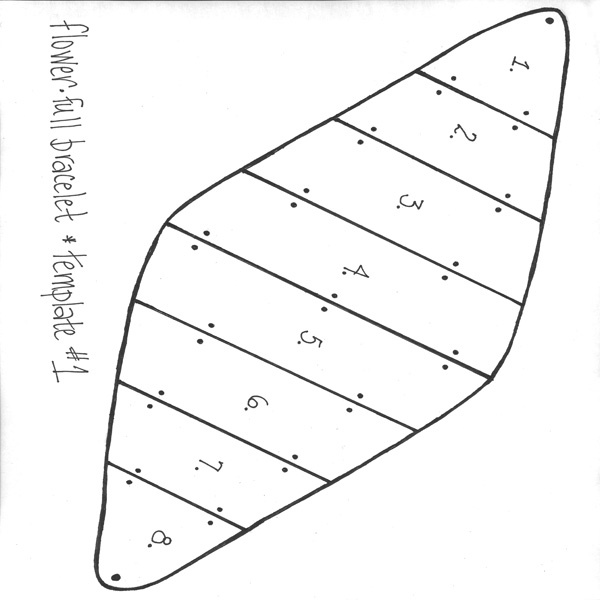 Use stencil and colored pencils to add flower designs to bracelet pieces on template, centering largest flower at center of pieces 4 and 5. Blush Pink, Poppy Red, Carmine Red, Canary Yellow were used for the red flowers and Light Cerulean Blue, True Blue, Indigo Blue, Chartreuse for the blue. Start with lighter colors close to center and use darker colors towards outer edges of petals. Use blender to soften and blend colors. Accents of white were added in between petals of larger flowers to brighten designs. Once you are happy with coverage of flowers, scribble white diagonal lines in between flowers using white pencil. Cut out pieces of bracelet, trimming just inside or trimming off marker lines. Punch holes in each of the pieces. 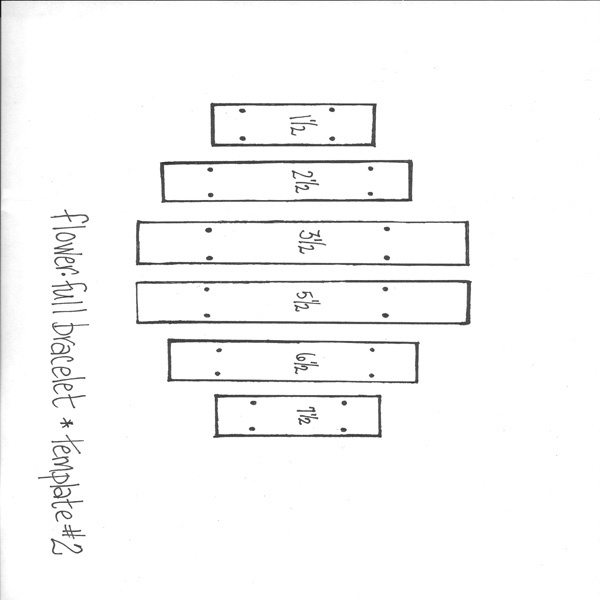 Line baking sheet with parchment paper and place bracelet pieces on it – with penciled side UP. Bake according to package directions. You may want to line them up in “number” order as noted on template for easier assembly. Shrink pieces will be HOT! Allow to cool on baking sheet for a few minutes before transferring to another surface to finish cooling. Tape template #2 down to work surface. Use colored pencils to add scribbles to cover all the pieces of the template. Line baked pieces up in order according to their number on the templates. Penciled side up is the right side. Use jump rings to attach all pieces together. Attach clasps to either end of bracelet using jump rings.